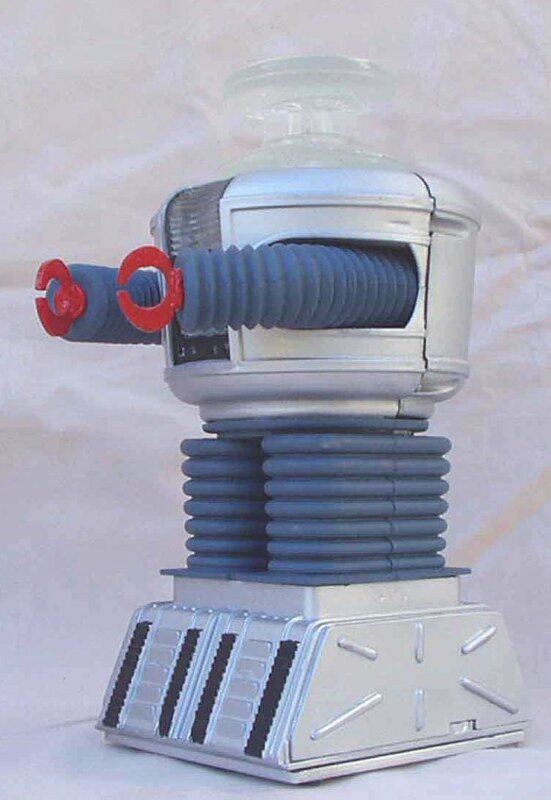 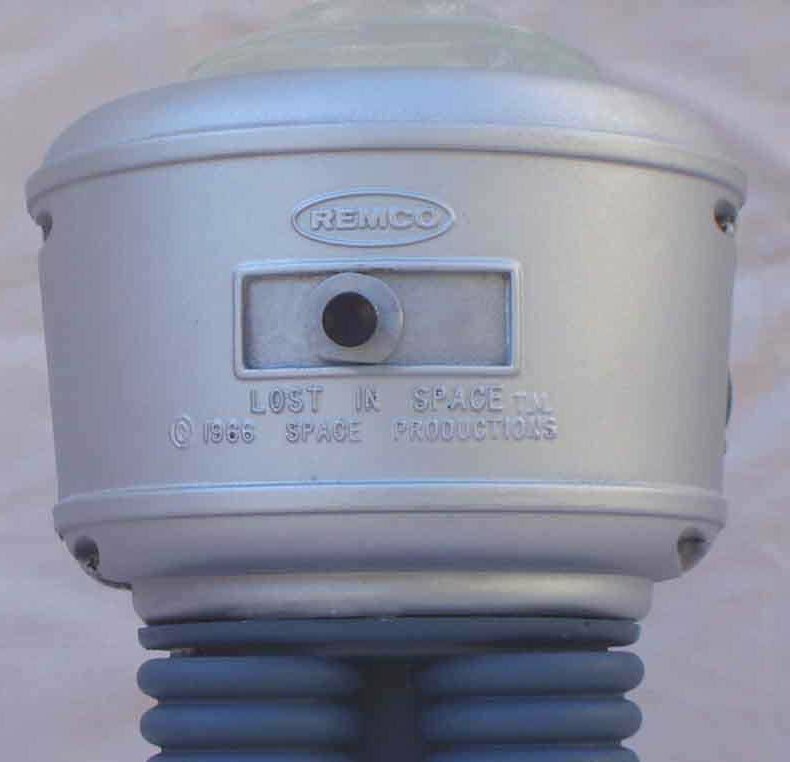 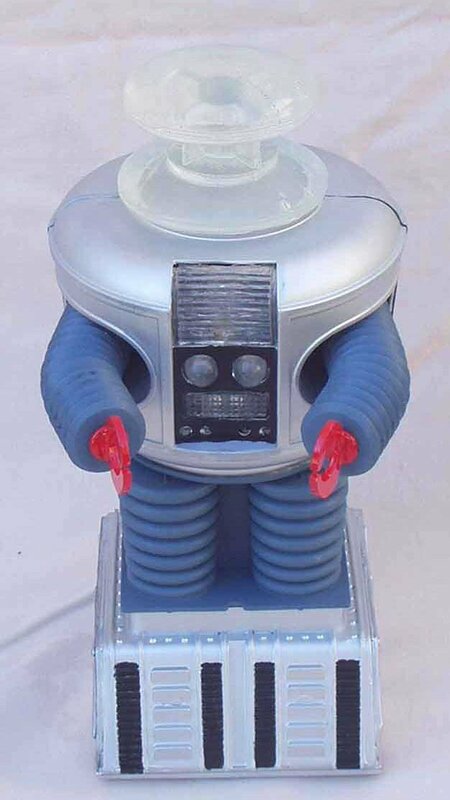 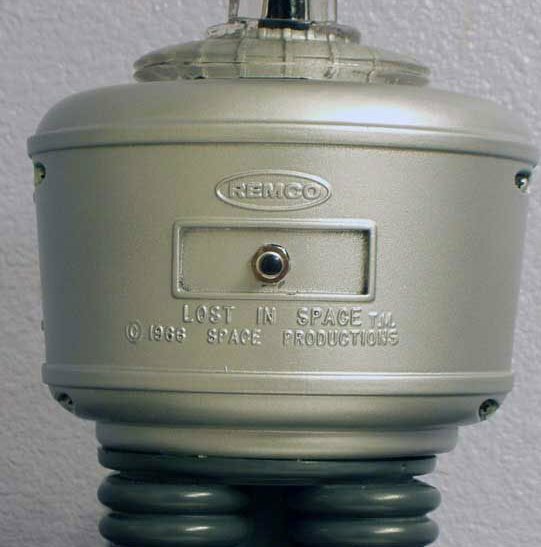 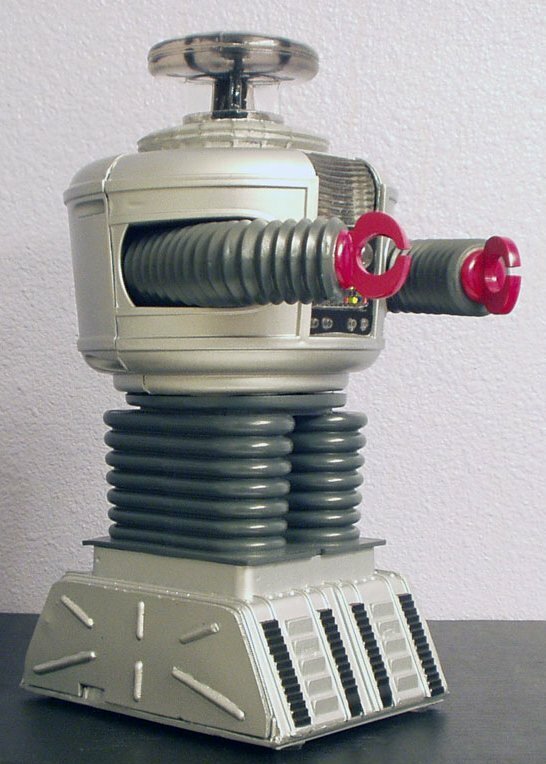 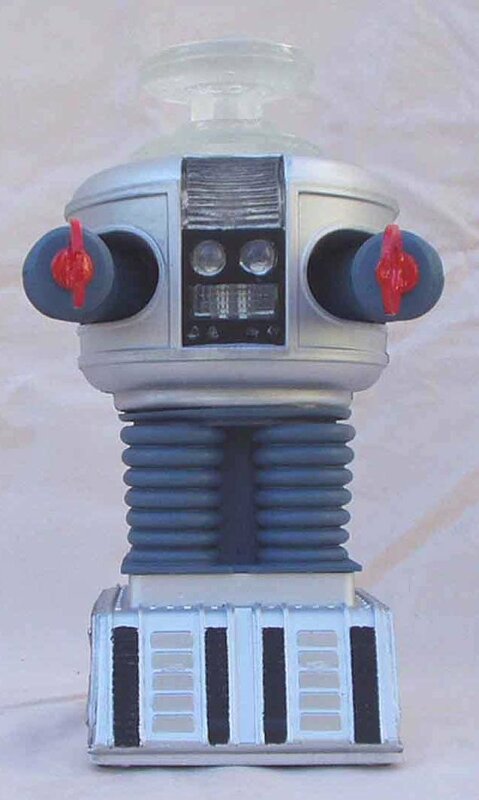 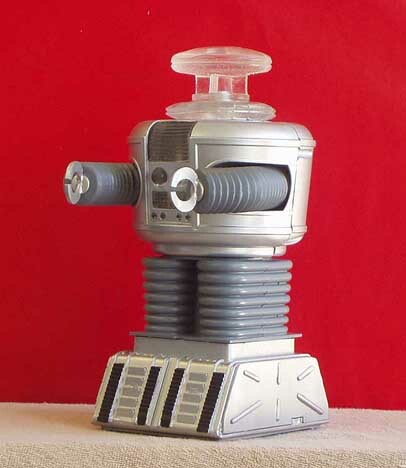 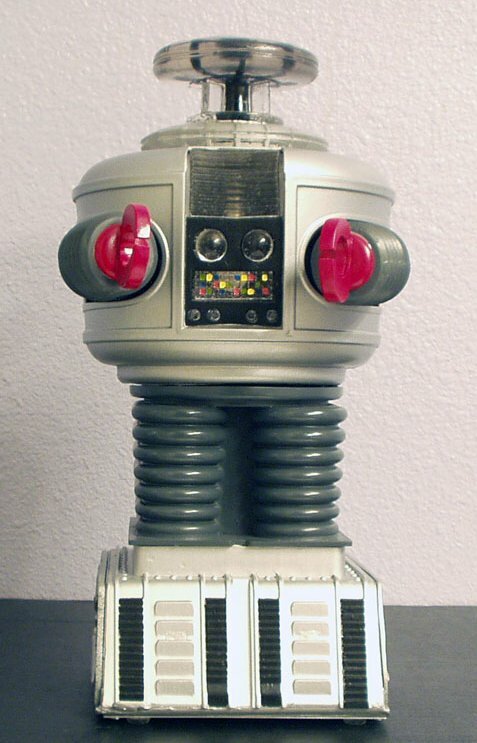 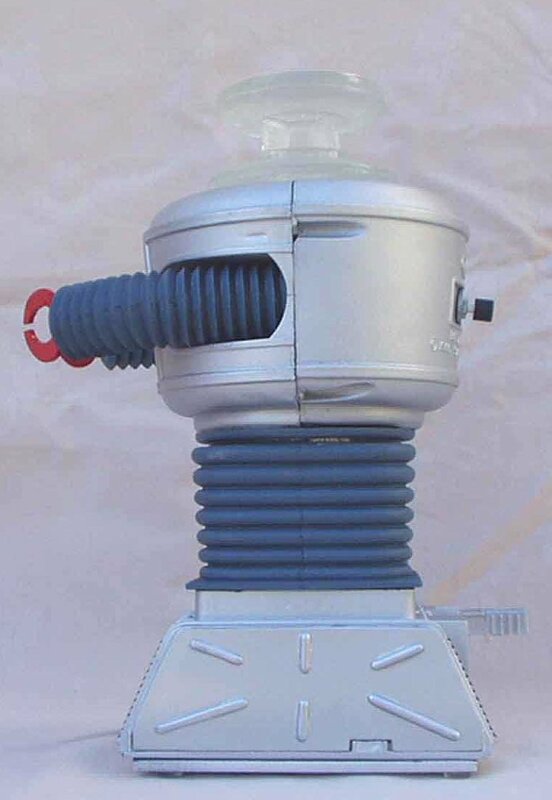 This is a casting of an authentic 12" Remco LOST IN SPACE Robot toy from 1966. 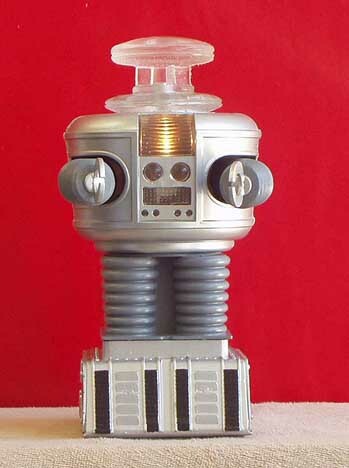 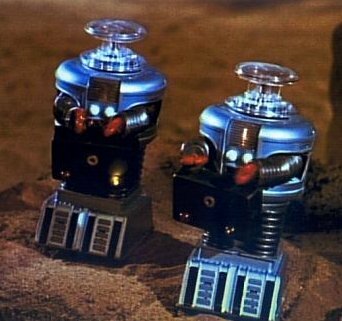 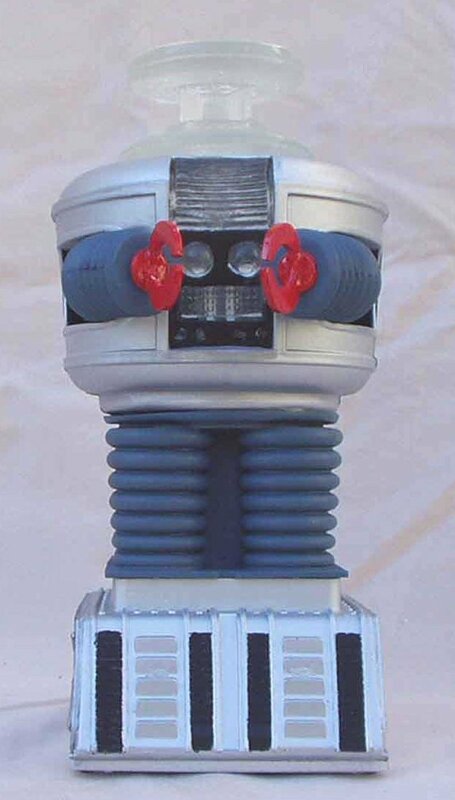 The idea was not to create a straight duplicate of the toy itself -- but to make an accurate remake of "The Mechanical Men" props from the episode by the same name. 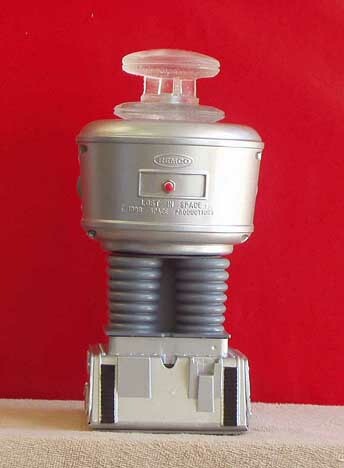 As you recall, all the mechanical men/robots were redressed Remco toys. 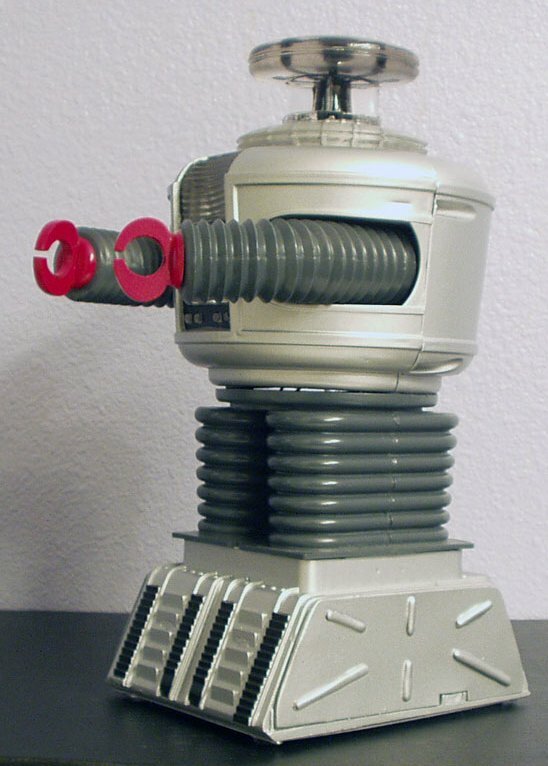 Here, though, the original toy was disassembled and molded in hollow-cast pieces. 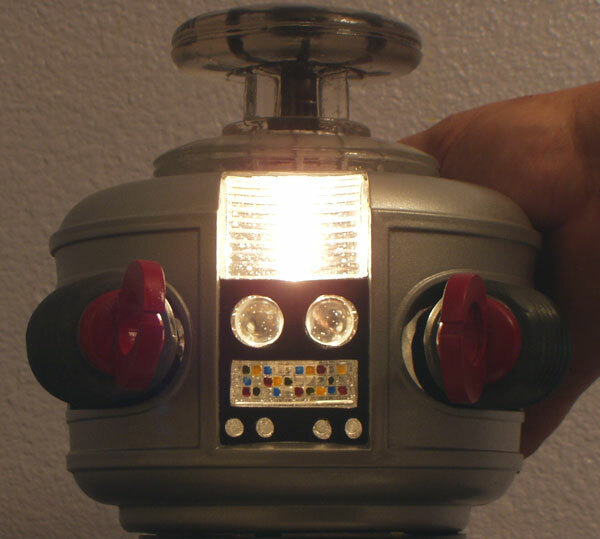 The finished assembled casting is hollow and has a bright light in the chest activated by a button in the back. 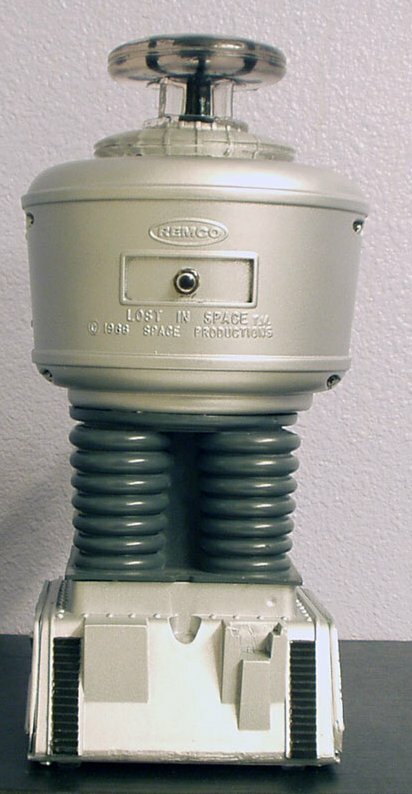 The arms swing back and forth freely. 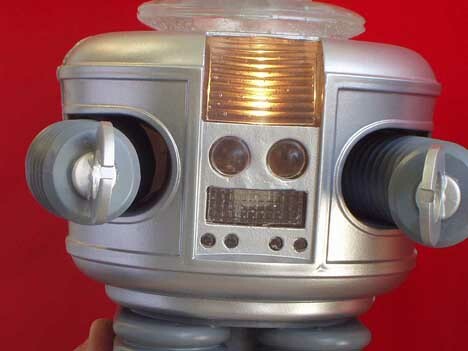 In place of the original cardboard cutouts, panels were constructed to more closely emulate the panels on the full size Robot costume/prop. 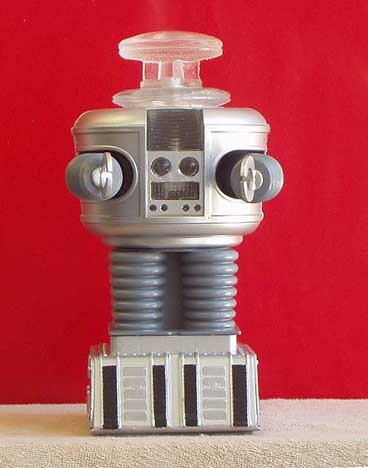 A concession to this reconstruction is that it does not roll as the original did, but rather, is stationary. 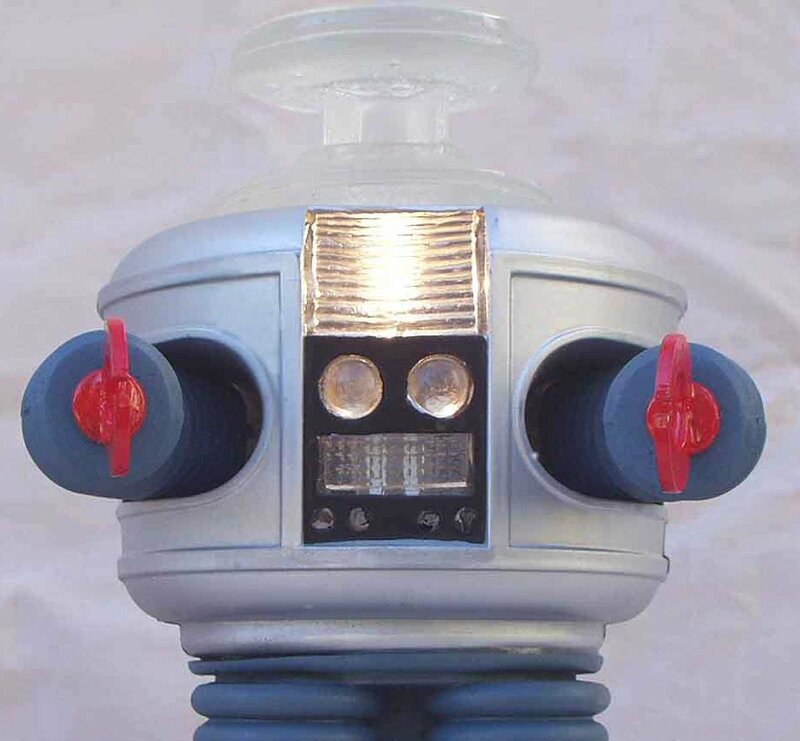 This particular piece depicts the standard color scheme of the robots in the episode. 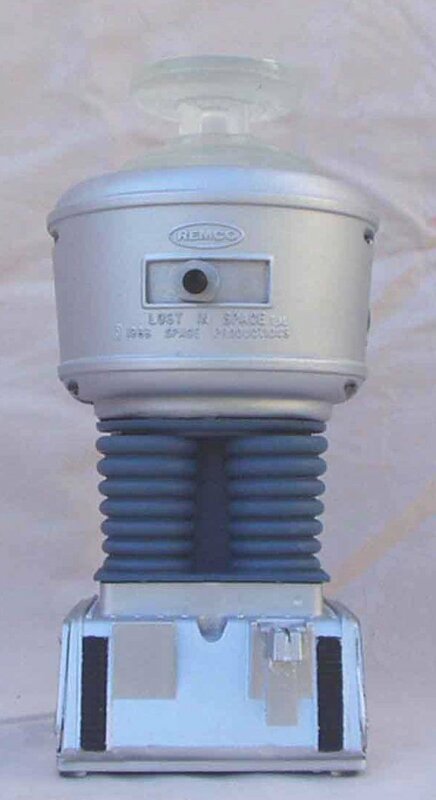 Many thanks to, Jerry, & Darryl Hyde on this item!